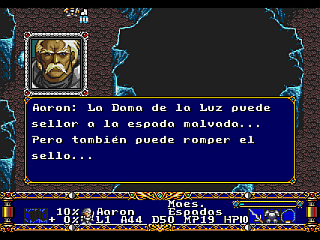 This game is what could be called a Shining Force clone, except that the series has been going on for a long time, spanning various consoles, and it’s quite fun. 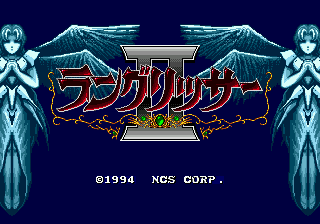 It’s also heavily story-driven, but unfortunately, I can’t make up much of it because it’s in Japanese. 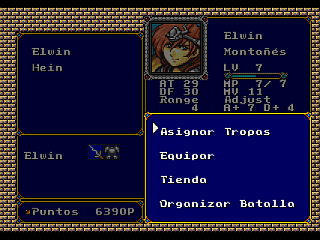 It looks like Shining Force, it plays like Shining Force, but it’s much deeper, since you control whole armies using a similar interface. 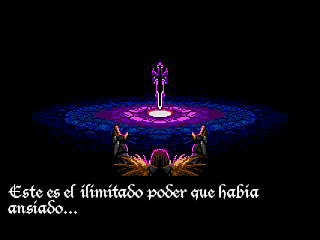 It can get rather tedious, but if you have patience, you can master it. 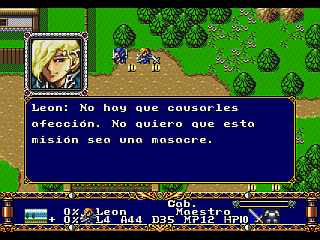 Translation to Spanish for “Langrisser II”, for the Sega Mega Drive/Genesis.